We are interested in understanding the molecular mechanisms that allow Hydra stem cells to continually replace cells in an essentially “immortal” animal. We study the function of the PIWI-piRNA pathway in Hydra stem cells, which we hypothesize is required to maintain genomic integrity. Hydra is in a constant state of development, with all cells being replaced every 20 days by active stem cell populations. We are using single cell RNA sequencing to uncover the developmental trajectories and shed light on the regulatory control of development. 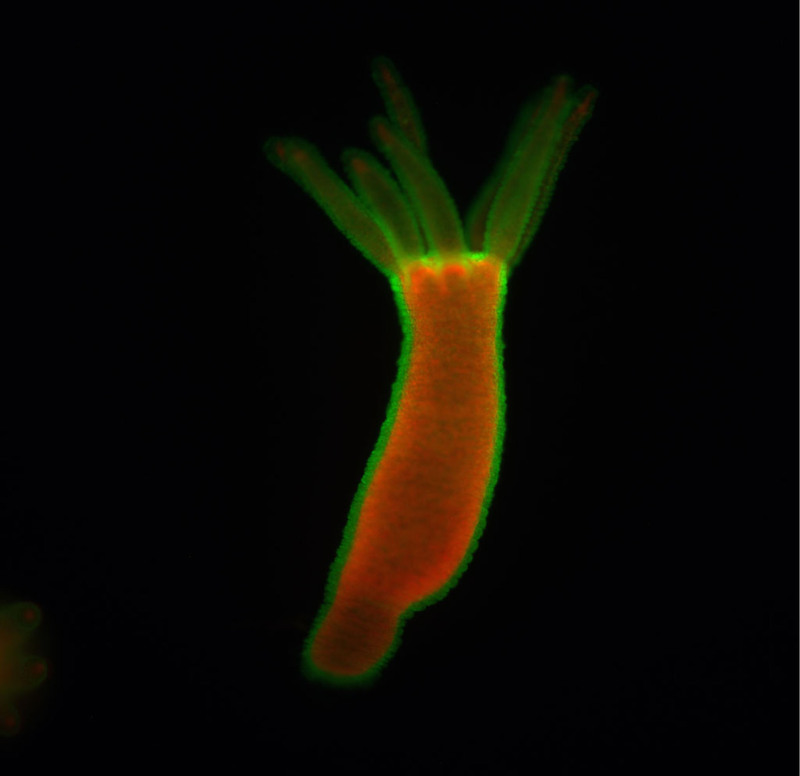 Hydra has remarkable regenerative ability, including the ability to regenerate from a small piece of tissue or even reassemble from dissociated single cells. We are interested in understanding how injury signals trigger developmental pathways during regeneration.